Most of my travel posts in the last few years have focussed on Asia, since I was living and working there, so I thought today we'd turn back to Europe, since that's where I now find myself again these days. Europe has such a diverse collection of countries, both culturally and geographically. There's an abundance of natural sights to visit, but for this post I'm focussing on European cities; so many of them are fantastic for mini-breaks, with many historic, cultural town centres, with plenty of sights within walking distance of each other. My adventures so far are mainly limited to Western Europe, and there are plenty more countries I've yet to visit, so this is a fairly select list of my favourite European cities so far (in no particular order)! Despite my less-than-stellar year abroad, and the fact that I have no desire to live in France, even though I have a French degree, Paris remains my favourite city in the country, and one of my favourites in the world. There's just so much to see and do there, from famous sights like the Eiffel Tower and Arc de Triomphe, to stunning churches like Notre Dame and Sainte Chapelle, to its many art galleries, like the Louvre and the Orsay. Montmartre is a particular favourite of mine, with its winding cobbled streets boasting a variety of interesting and unusual shops, and some of the city's wildest nightlife. Or while away some time roaming the picturesque Jardin des Tuileries, or the banks of the Seine. I've yet to tire of revisiting some of these places, and I'm sure there's plenty more I've yet to discover! My experiences in Spain have largely been beaches and islands, so Barcelona is the only major city I've been to (so far, I definitely want to go back to see more! ), and of course, being in Catalonia, it's a little different to the rest of the country. Barcelona is an ideal getaway though, with its colourful, quirky atmosphere. It's easy to get lost roaming the streets of the Gothic Quarter, full of beautiful architecture, artisan craft shops, and delicious food options. Nearby, Las Ramblas is a busy pedestrian street of shopping (albeit a bit touristy!) and food markets hidden down side streets. Of course, there's also the incredible Sagrada Familia to see, or take a walk down to the beach. And there's no shortage of incredible nightlife to cap off your time here! I spent a whole weekend here a couple of years ago, and saw the city pretty thoroughly. The major sights of the picturesque, colourful Nyhavn harbour and the Little Mermaid statue are worth ticking off your list - best viewed from a boat tour in my opinion! There's also plenty of other historic sights around the city, notably the palaces of Christiansborg and Rosenborg, or take a train north out of the city to see Kronborg Castle. There are also more unusual locations to see, such as the 'hipster' district of Vesterbro, or the freetown, green light district of Christiana. Copenhagen was very easy to navigate as tourists, with good English levels everywhere, and felt very safe - even as we made our way home in the wee hours of the morning, after trying the city's nightlife! Italy has so many beautiful cities, many of which I've yet to discover, but my favourite from my first trip there, a few years ago, was Venice. It's a city to get lost in, to roam the narrow streets and bridges running alongside its canals, and see what you discover along the way. The main public square, the Piazza San Marco, has some suitably impressive buildings, including St Mark's Basilica and the Doge's Palace (I didn't go inside during my visit), and most tourists want to experience a gondola ride. But for me, the real joy is just wandering - there are so many beautiful shops, selling jewellery, masks, and delicate glassware, and delicious Italian restaurants and gelato shops. I'd love to go back some day to explore the other islands too, especially the colourful houses of Burano! Amsterdam is a very easy city to navigate for tourists, and there's plenty of sights here to appeal to everyone. There is, of course, the important and historic Anne Frank House, or its many art galleries, including the Rijksmuseum and the Van Gogh Museum - sights I didn't have time for on my first trip, but I hope to go back to see one day! There's also the Heineken Experience, for those seeking something a little different! It's also a beautifully picturesque city, with its many canals, and the fact that most locals get around by bicycle, so there isn't much in the way of heavy traffic! I loved just wandering along the canals, or taking boat cruise around them. And of course, Amsterdam is known for its nightlife, whether you want to dance all night in trendy clubs, or sample some of the alternative coffee shop items! I'm biased of course, but how could I finish this list without mentioning my own city? I grew up in the Borders, but I lived in Edinburgh at university, and just moved back again, and it is the city in Scotland I'd call home. I enjoy living here as a local, but it's also the perfect city for tourists, with the Old and New Town easy to walk, and good public transport for sights further afield. There's so much history and cultural here to unearth, from the traditional, factual attractions, to the mystic and supernatural sights around town. 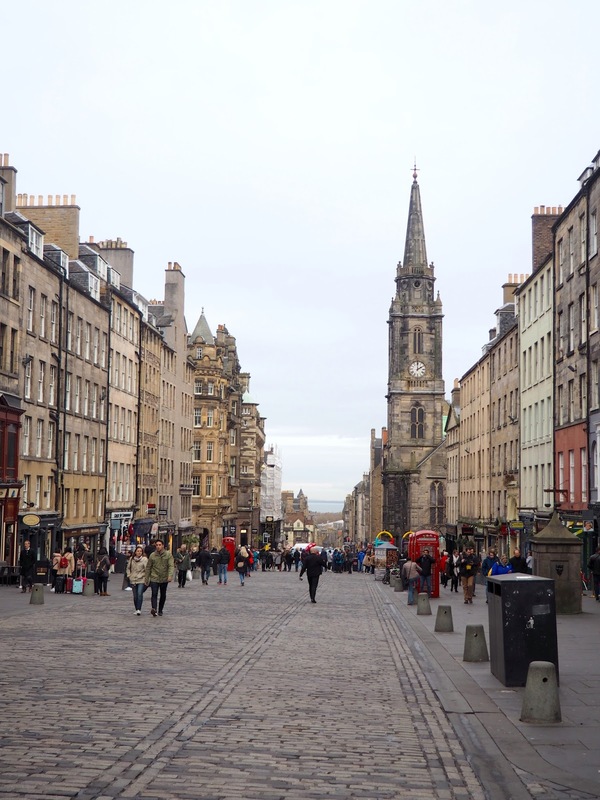 There's everything from Edinburgh Castle and the National Museum, to the weird and wonderful Camera Obscura, the terrifying Dungeons, and the interactive, educational Dynamic Earth. Or take a hike up Arthur's Seat, or a trip to the beach at Portobello. I've lived here for years and still haven't seen half of what the city has to offer!